Employee recognition is more than just a way to stroke egos: it helps the success of your company as a whole. According to a report from Aberdeen Group, 37 percent of “Best-In-Class companies” say social recognition tools boost collaboration, recognition, and individual performance, and they act as a key driver of employee engagement. Do you have an employee recognition program? If not, what are you waiting for? and they saw higher loyalty and satisfaction scores from customers. It’s especially important to recognize that recognition makes employees more likely to stay: a 5 percent increase in employee retention rates can increase profitability by 25-85 percent. Only 12 percent of employees who leave a company do so for monetary reasons. Unless you’re greatly underpaying your employees, money isn’t the fix that will lower your turnover rates. Companies with strong employee recognition programs, on the other hand, can reduce their turnover rates by 23.4 percent. Praising your employees might cost you a few dollars, but consider that 41 percent of customers say they remain loyal to a brand when they notice consistent positive employee attitudes, while 68 percent of customers leave a brand when they notice negative attitudes. Praising your employees can bring in way more money than it costs. Are you one of those managers who fears being labelled a “micromanager” so much that you avoid communicating with your employees frequently? Then you should know that, if employee recognition feels like micromanagement — which it isn’t, I can assure you! — your employees’ coworkers can help in your recognition efforts: 41 percent of companies that have implemented peer-to-peer recognition programs have seen increases in customer satisfaction. Allow employees to work on side projects they’ve been talking about. 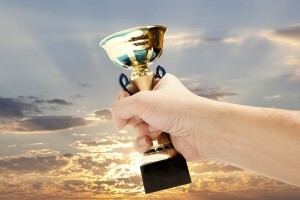 Praise/recognize their accomplishments in company meetings. Introduce them to clients and/or senior managers. Send handwritten notes or appreciative emails. See these plans as investments, rather expenses. The best part about employee recognition programs is that they’re customizable, and each company can cultivate its employee recognition program to fit its specific needs. Take initiative and improve the happiness of your employees by praising them for all they do for the company. It only takes a few seconds to create a lifetime of customer and employee satisfaction. Noelle Murphy is part of the content creation team at Red Branch Media, a full-service marketing and advertising agency that specializes in the HCM market. Noelle writes on all subjects recruiting- and HR-related, but specifically enjoys writing about wellness and workplace happiness.